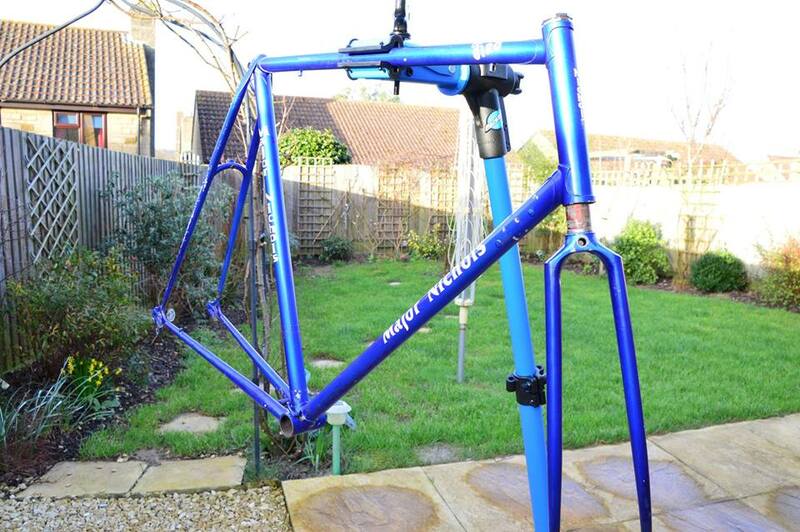 The frame is another fine example of Major’s high art competition machines from the last years at 5 Reform Street. Colin advises that it is a TT machine and has gone for refinishing at Argos. We hope to add some pictures of her when he has finished the rebuild. 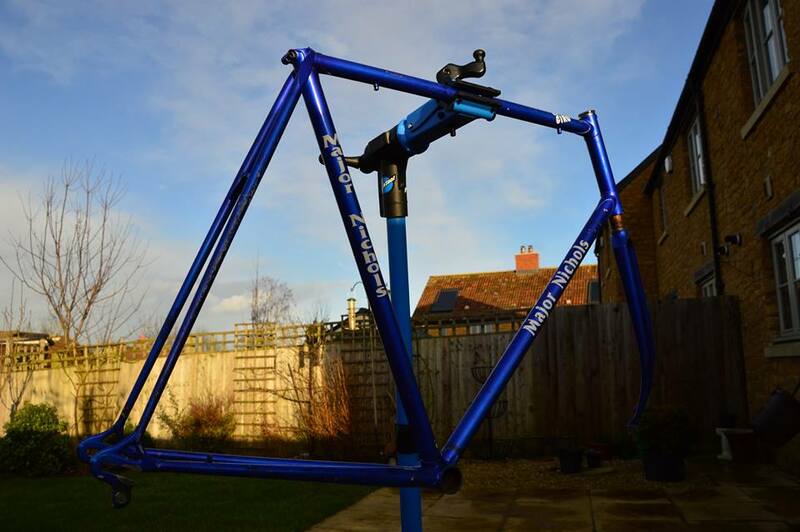 Meantime the photos show us an already once refinished machine in a mid blue metallic paint. 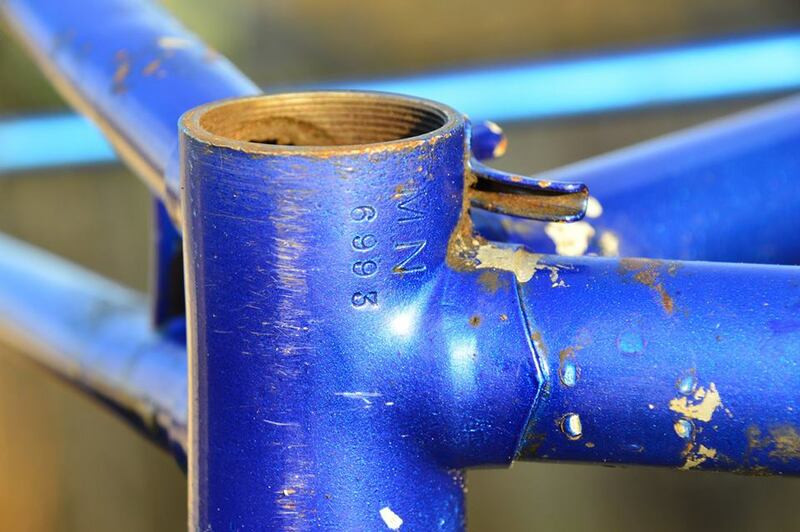 There are always little surprises to note and this one is no exception as the steerer number is only the second part of the frame number. 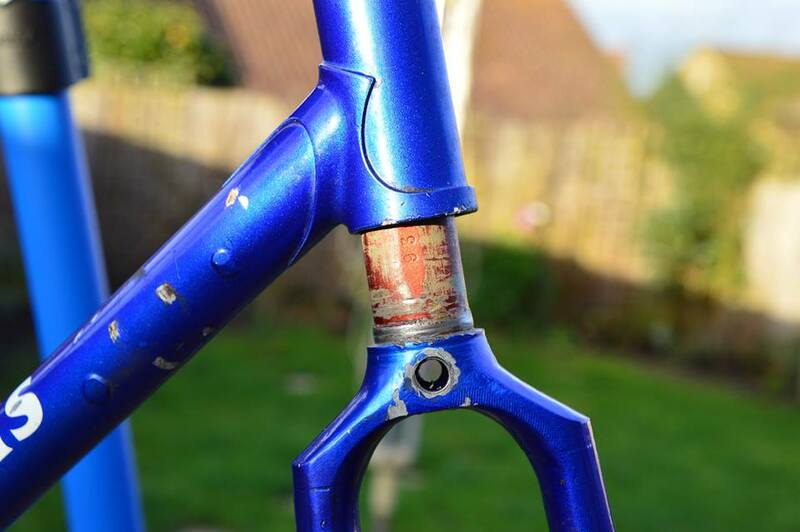 The build uses one of the less common Prugnat headset lugs which features only for a short period in Major’s parts box so far, starting with this build and featuring into the early 70’s with Terry Harradine’s ‘71 yellow Record as an example. 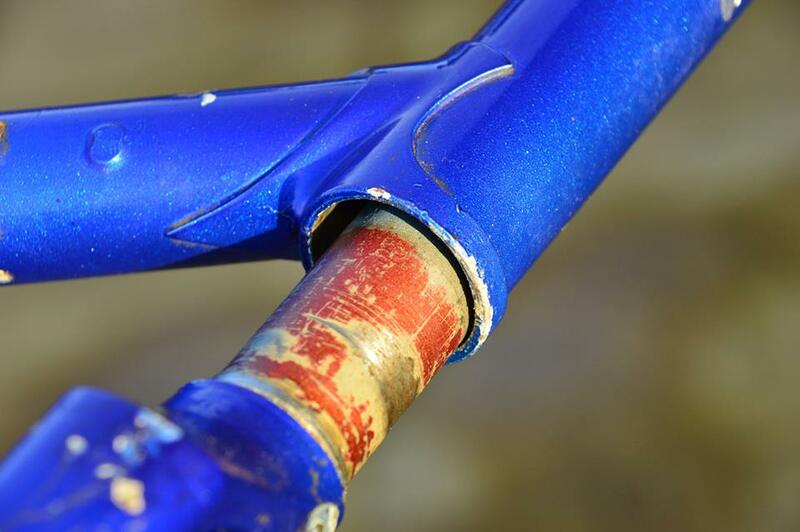 The reinforced seatstay bridge and the chainstay bridge are curved as on his ‘better’ machines. 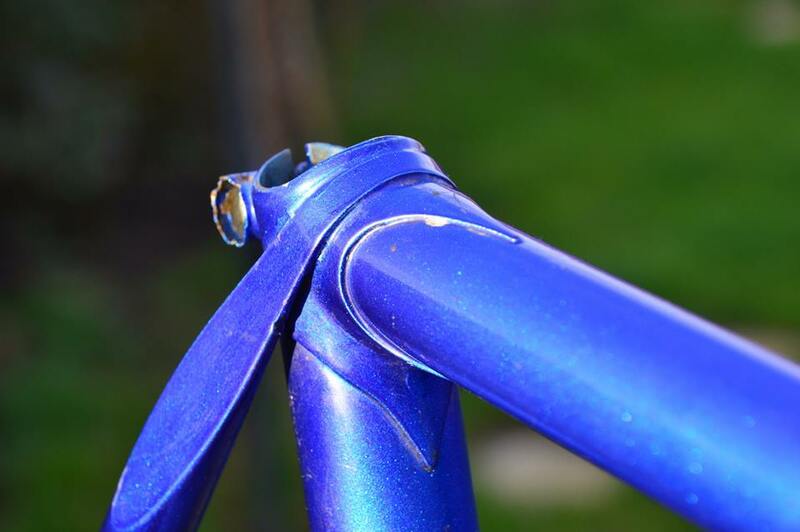 In keeping with the period, the only braze-ons are for the rear derailleur guide and cable stop. 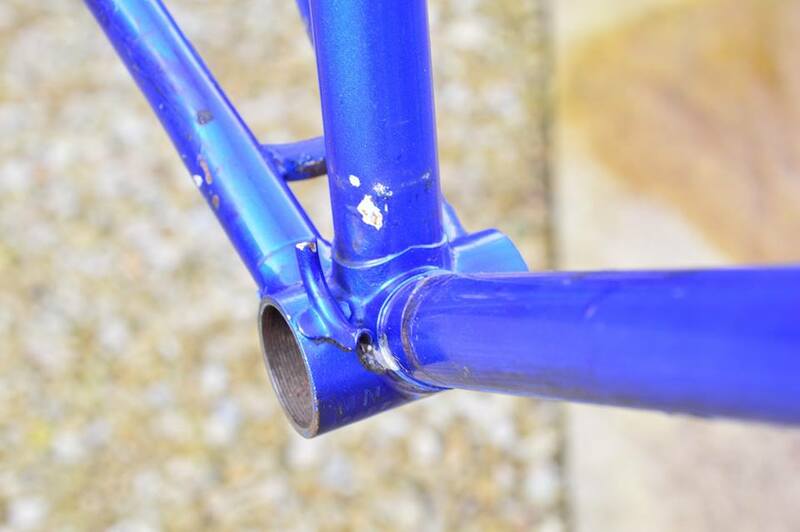 The forks have a full sloping Cinelli crown as on Emily’s Italia.